A Big Little Book Puzzle by Whitman. 1968. I had seen a few samples of this puzzle online for a few years before finally buying one for my collection, and to be honest, I was surprised to see how small it was once it arrived. I was expecting a typical puzzle box, but I guess I failed to recognize the “Big Little Book” notation in the upper left corner. 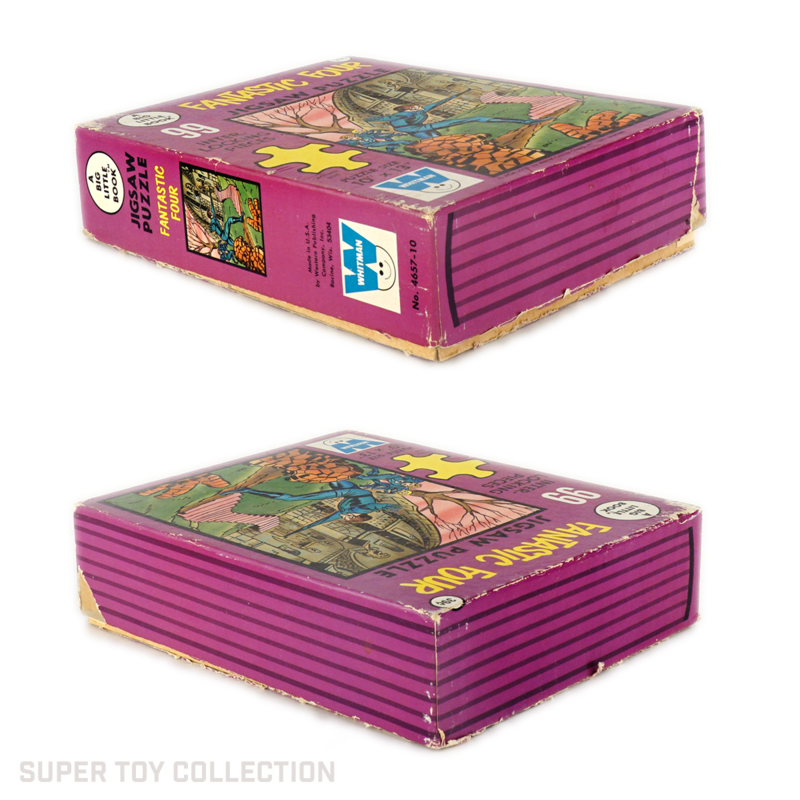 The box for this puzzle is just 5″ x 6.25″ x 1.5″ — not much larger than a Big Little Book. The puzzle itself is 10″ x 13″ with 99 interlocking pieces. 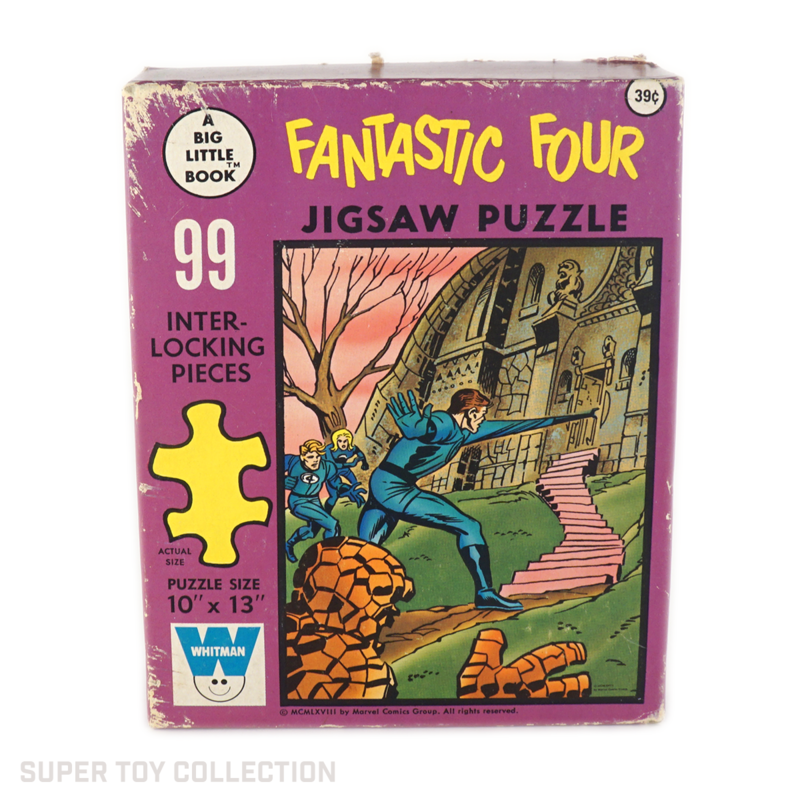 There weren’t too many Fantastic Four toys produced in the 60’s but lots of characters seemed to get at least a puzzle or two.